I started my fitness journey when I had a full time marketing career, and I spent almost all my time at work. I have worked at home so long, that sometimes I forget that most people are eating on the go. Then out of nowhere I’ll have a trip, a conference, a meeting, etc and realize I need food lol! 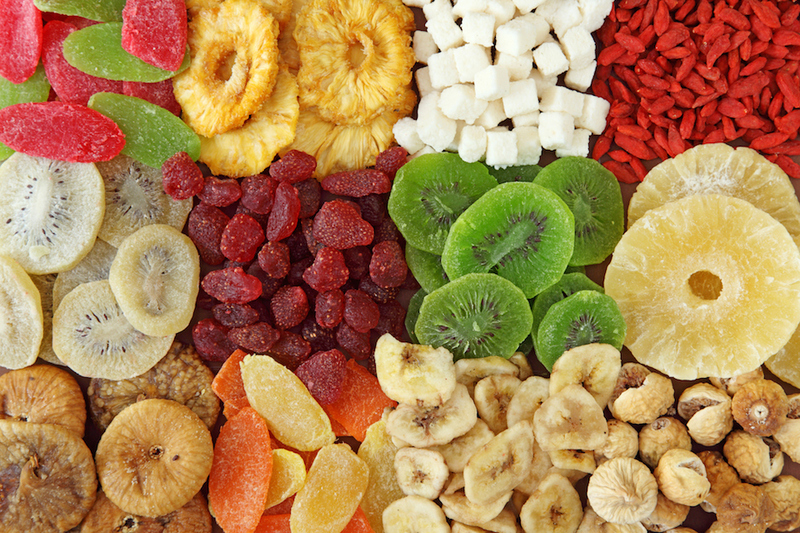 I feel like the snacks people keep in their desk are super processed, or full of sugar, or just “look” healthy, but when you look at the ingredients, they aren’t that great for you. Tons of empty calories or carbs for sure. I wanted to share with you a list of 10 things that are healthier choices for snacks to keep in your desk! *Note: I get most my healthy food, skin care, and household products from VitaCost. If you use THIS LINK they’ll give you $10 to spend. I checked and almost every item on this list is available there. 1) Tuna Pouches: These are great for a high protein snack and they have good fat that is essential for your brain. Super important at work right? 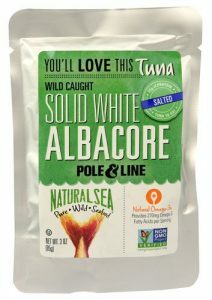 I stick to wild caught tuna, that’s a personal choice. I tend to buy in bulk, because I like to save money as well, so I usually order online, but you can find tons of varieties in the stores. You can mix dressing, salt, pepper, lemon juice, whatever into the pouch if plain tuna is not your jam! 2) Whole Food Granola or Protein Bars: I am a huge fan of both RXBAR protein bars, and Larabars, because they are all whole foods, no added sugar, and no toxic chemicals or artificial flavors. You will pay a little bit more, but that’s because real food costs more than things that shouldn’t be in your body. It’s worth it! 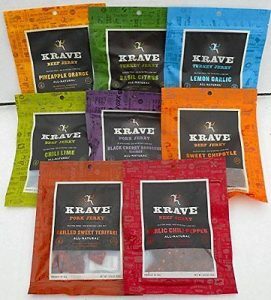 3) Jerky: My favorite healthy brand is KRAVE Jerky. They ave turkey jerky and beef jerky, in tons of flavors. A lot of the jerky brands actually have a lot of extra crap in them that you don’t need, but these are a great choice! They have variety packs available for you to try each one out. High protein, low fat, this is a wonderful option. 4) Popcorn: Ideally air popped, and because no one likes the person in the office who burns their popcorn, I’d go for pre-bagged lol! 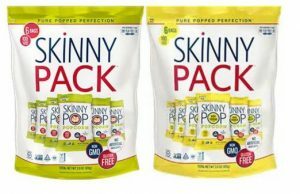 We have some cool health food stores near us, but not everyone has that, so my general recommendation would be Angie’s BOOMCHICKAPOP (comes in lots of flavors and small bags), Skinnypop (comes in individual bags), or Earth Balance (gluten free and vegan). 5) Nut Butters: Almond, cashew, peanut, oh my. I LOVE nut butters. A lot of them have tons of sugar and nonsense in them, but many of them are great. So many come in individual containers now too! 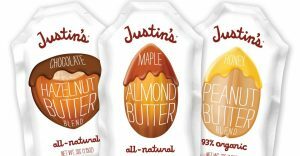 I love Justin’s brand packets, and they come in fun combos of flavors like maple, honey, vanilla, hazelnut and more. An easier to find option is the Jif Naturals To-Go, if you want a creamier, more traditional feel to your snack. They sell them by the million pack online lol, and they are also found at Walmart. You can eat these alone, or dip fruits and veggies in them. 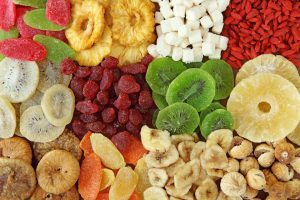 6) Dried Fruit: This one is probably obvious, but the one thing I warn against is that a lot of dried fruit has added sugar and oils. That’s fine, it’s just something to take into consideration when you are deciding how much to eat. Some dried fruits also have charcoal, which can be really hard on the digestive system, so maybe don’t eat ALL the apricots in one sitting, or you may find yourself sitting away from your desk later that day =P I love the bulk section of our grocery store for this, it is far cheaper than anything in a package. 7) Raw Nuts: Pretty much all the nuts are great. I tend to avoid anything salted or flavored, just so I don’t go crazy with sodium, but I like the roasted kinds, and raw. 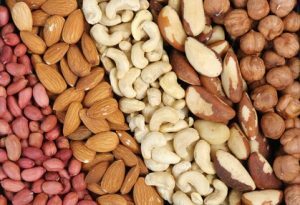 Almonds, cashews, walnuts, you name it. Seeds are great too. Pumpkin seeds, sunflower seeds, and any others that appeal to you, all stay good for a long time at your desk. Same note about the bulk section of the grocery store. WAY cheaper. Compare the cost of a bag of cashews next time, to what you would pay for a pound of bulk. The package costs are crazy, so do yourself a favor by shopping in bulk. 8) Kale Chips & Seaweed: This is usually where I lose people lol. There are a lot of pre made snacks with both kale and seaweed, that are crunchy, flavored, and salty, like chips are. It can give you that satisfying crunch and salt, without loading you down with trans fats and calories. My favorite kale chip brand is Rhythm, because of the fun flavors. Seaweed Love, has a great snack pack that they make. Give them a try, you might be surprised! 9) Veggies and Fruits Normally Stored at Room Temp: Most people freak out about leaving fresh foods at the office. I never did. I figured whatever it’s my desk, mind your own business lol. If I can leave apples on my counter at home, why not on my desk at work right? You’d be surprised how many things can be left at room temp, especially since office buildings are always kept pretty cool and temperature controlled. 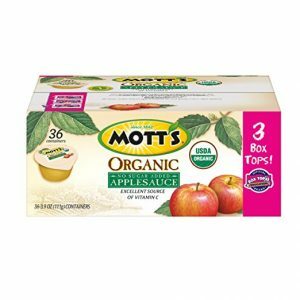 10) Applesauce & Fruit Cups: Maybe I am only 5 years old on the inside, but I love a good fruit cup. They have so many no sugar added, organic, all natural options these days. We’re not longer stuck with the sugar laden “kid food” options, and they stay good for so long. They are quick, and I’ve learned how to use the lid as a spoon when there is no cutlery in sight. So easy! This is just a short list for you to start with, I hope it gives you an idea of what to look for and helps you make better choices at work!